Even the most precise manufacturing processes can leave tiny surface imperfections behind. This can cause all kinds of problems, from less than optimal performance of the manufactured part to premature failure due to stress. Extrude Hone AFM’s internal polishing in Chatsworth CA offers the ideal solution. After many years of experience, we have refined our abrasive flow machining process to deliver highly precise surface improvements. We can remove a lot of material or a little, but we always ensure we stay within your specs and preserve the geometry of the internal passages. 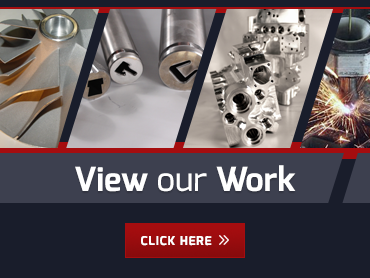 The biggest advantage of our method of internal polishing in Chatsworth CA is that it can reach every passage, slot or edge inside the workpiece-including places that simply cannot be accessed using hand tools. The result is a longer lasting, better performing part. We determine what size abrasive particles are needed to complete internal polishing in Chatsworth CA on your specific part. We have a huge range of grits to choose from, with gravel-like particles at the larger end on down to extremely fine powders. As you can see, our internal polishing in Chatsworth CA is completely customizable to your needs. As a true expert in this process, with experience dating back to 1971, you can rely on Extrude Hone AFM to recommend the perfect parameters for your job. We are familiar with all kinds of metals including Iconel, titanium, aluminum, bronze, copper, and more. If you have a part requiring internal polishing in Chatsworth CA and you would like a quote on the cost and turnaround time of the job, please contact us at (562) 531-2976.